NEW YORK, NY, January 14, 2015 — Piksel, a global provider of video monetization software and solutions designed to maximize the reach and return of video, announces today three new senior hires to advance commercial expansion in EMEA. Greig Hilton, Jason Johns, and Jonathan Steel join the commercial team under Executive Vice President of Commercial Neil Berry’s leadership, bringing wide-ranging sales expertise and market insight to the Piksel EMEA team. Greig Hilton takes on the role of Senior Vice President for Business Development, managing relationships with Pay-TV operators, studios, and travel partners requiring innovative entertainment solutions. His previous role as Chief Commercial Officer at FilmFlex, the first VOD movie service outside the US, refined his aptitude for business planning and execution, as well high-level commercial negotiation. 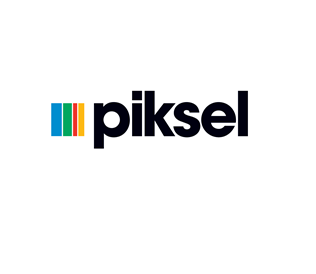 Jason Johns joins as Commercial Director EMEA, and will head up Piksel’s pursuit of the sports and media markets to help them leverage Piksel’s dynamic business model, increase fan engagement and grow audiences with Piksel Digital Stadium™ and Enterprise solutions. Jason follows Neil Berry’s footsteps in his move from Ooyala, where he managed new business growth in the EMEA region, within the digital media, online retail, and sports sectors. Jonathan Steel joins Piksel as a Vice President Solutions Architects, bringing with him over 15 years’ experience in designing and developing software solutions, specifically for the film industry. Before Piksel, Jonathan was Chief Technical Officer at FilmFlex, setting strategic direction and development processes for technology within the company, as well as taking responsibility for technology partnerships. PayWizard Demonstrates Content Everywhere Monetization at IBC MENA 2015 Collaboration in the digital age: blessing or curse?